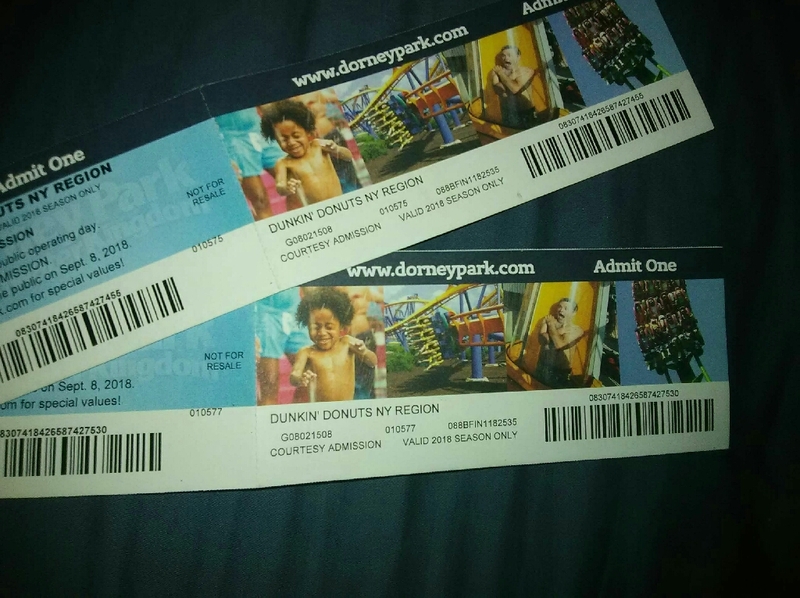 TWO DORNEY PARK general admission passes. 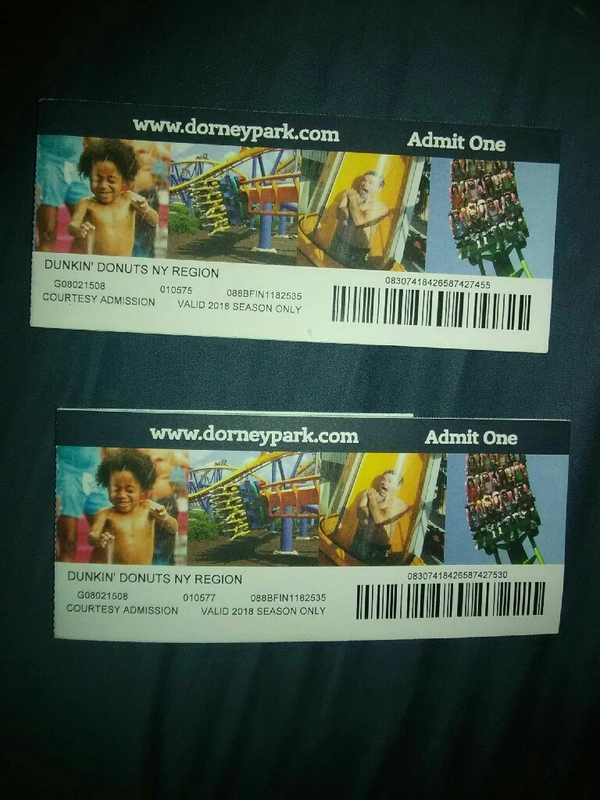 Located in Allentown,Pa.expires september 8,2018, valued at $84, ONLY ASKING $44 FOR BOTH or 1 for $25! PLUS FREE Shipping IF Purchased Before 8/12/18!